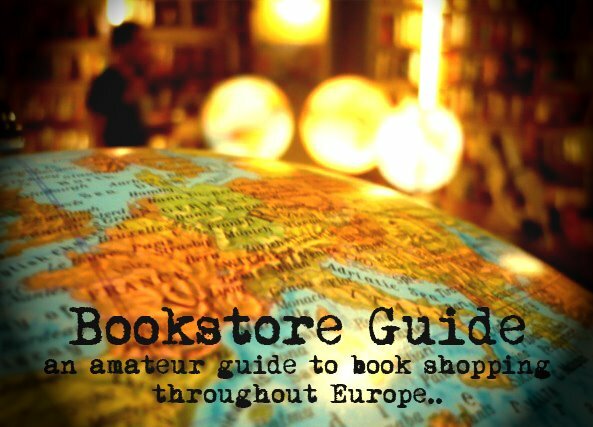 Deborah said: "I have been frequenting the bookstore since I came to Paris nearly three years ago. I found the staff--each one of them!--so knowledgeable and helpful, and the selection of books to be of such high quality, and I always find something I want, that I go to Berkeley Books first when I need a book anymore, and usually don't need to go elsewhere. 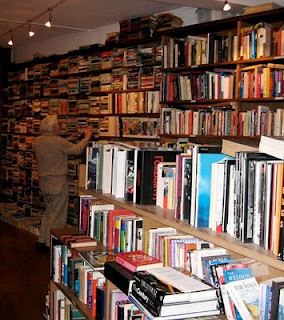 The staff and books are so interesting, and the staff so interested in people, ideas, the world, books, etc., that I feel I have a personal rather than a financial relationship with the bookstore. I think other English-speaking people in Paris are truly missing out on a very positive experience if they are unaware of Berkeley Books." For some weird reason, we failed to notice this bookstore on our 2008 Paris bookstore hunt. To make things more strange, Berkeley Books is just a block away from the San Francisco Book Co. and, what's even stranger, is co-owned by one of the founders of the latter mentioned bookstore. Another funny fact is that perhaps this whole little block behind the Place d'Odéon could be called Little California as both bookstores carry names of Californian cities - a sign of the owners' nostalgia towards their homeland? Berkeley Books opened its doors in May 2006 and its success is in great part attributed to the collaboration of three very good friends: Phil, Richard and Phyllis, going way back to the beginnings of the San Francisco Book Company, where they worked together. Berkeley Books is of our favorite kind - a purely second-hand purely English language bookstore. The main categories of books that can be found in Berkeley are, of course, fiction (both adult and children's books) and poetry but also a wide range of non-fiction books ranging from criticism, literary journals, history, philosophy, religion to cookbooks. And all that, as people say, for more than reasonable prices. Furthermore, you can not only buy but also swap and sell your used books. We ourselves are indeed more than looking forward to our visit to Berkeley Books the next time we're in Paris.